Brand New Home Ready April 2018! Exquisite walk-out ranch home on over acre private lot backing to trees in the northern edge of the Black Forest. Gourmet Kitchen with extra large island, top of the line stainless steel appliances,quartz counter tops, extended covered deck great for entertaining indoors and out! 10 foot ceilings and elegant upgraded finishes throughout. Finished basement with open Rec room and wet bar. This is a Beauty! Energy Star Certified & HERS Rated. Future community clubhouse, pool and other amenities. Cherry Creek Schools. Easy access to several regional trails, including Samson Gulch and Piney Creek Trail. 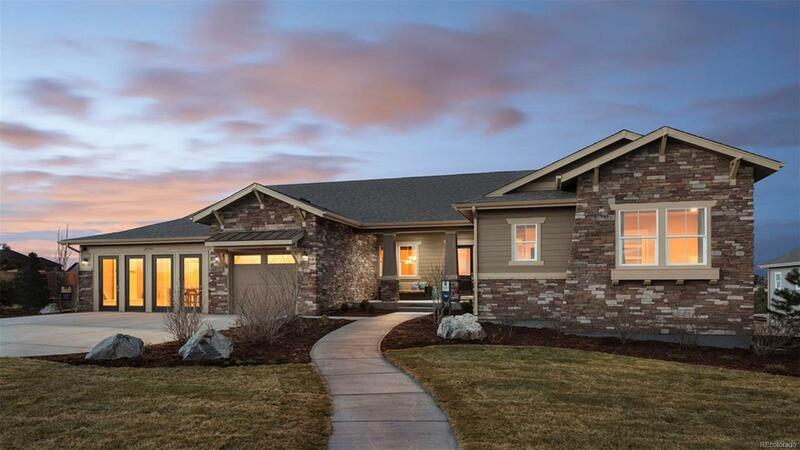 Less than 2 miles from Southlands Mall, E-470 and recreational opportunities. Whispering Pines brings the timeless majesty of the Black Forests Ponderosa pines right to your doorstep. Incredible amenities, including a future pool, clubhouse, walking trails and access to several regional trails. Come home to the arching pine canopies of Whispering Pines.